The most comprehensive Zionist collection ever published, The Zionist Ideas: Visions for the Jewish Homeland—Then, Now, Tomorrow sheds light on the surprisingly diverse and shared visions for realizing Israel as a democratic Jewish state. 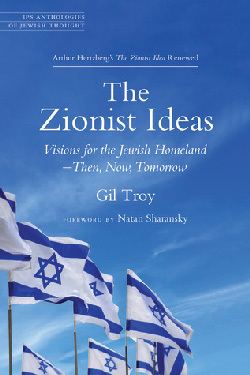 Building on Arthur Hertzberg’s classic, The Zionist Idea, Gil Troy explores the backstories, dreams, and legacies of more than 170 passionate Jewish visionaries—quadruple Hertzberg’s original number, and now including women, mizrachim, and others—from the 1800s to today. 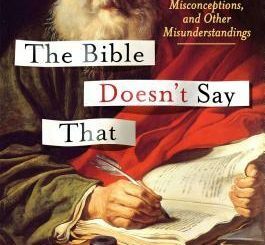 Troy divides the thinkers into six Zionist schools of thought—Political, Revisionist, Labor, Religious, Cultural, and Diaspora Zionism—and reveals the breadth of the debate and surprising syntheses. He also presents the visionaries within three major stages of Zionist development, demonstrating the length and evolution of the conversation. Part 1 (pre-1948) introduces the pioneers who founded the Jewish state, such as Herzl, Gordon, Jabotinsky, Kook, Ha’am, and Szold. Part 2 (1948 to 2000) features builders who actualized and modernized the Zionist blueprints, such as Ben-Gurion, Berlin, Meir, Begin, Soloveitchik, Uris, and Kaplan. Part 3 showcases today’s torchbearers, including Barak, Grossman, Shaked, Lau, Yehoshua, and Sacks. 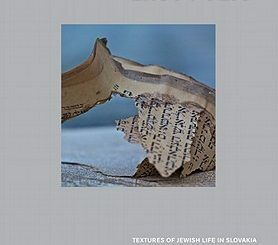 This mosaic of voices will engage equally diverse readers in reinvigorating the Zionist conversation—weighing and developing the moral, social, and political character of the Jewish state of today and tomorrow.